Bangladesh's trade with Bhutan and Nepal has been affected due to the ongoing unrest in India's Darjeeling city, as most of the trade takes place through this route. 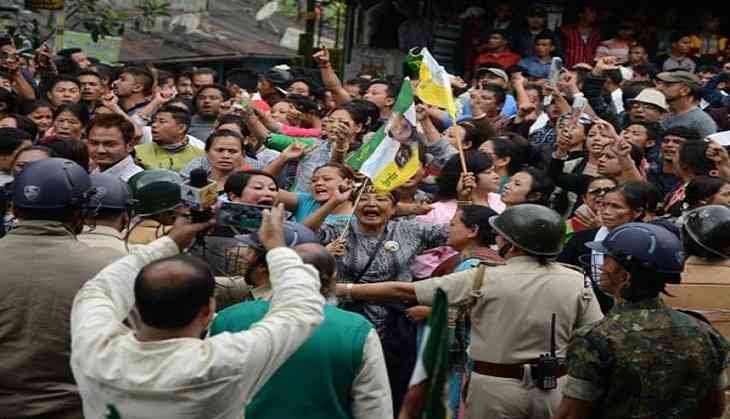 Darjeeling has been rocked by protests demanding a separate state for the majority Nepali-speaking Gorkhas. The region's businesses, particularly with regard to tea and tourism, has deeply been hit by this latest development. Darjeeling shares a 101-km-border with Nepal in the West, 30-km-border with Bhutan in the East and a 19-km-border with Bangladesh in the South. Bangladesh exports cotton waste, cosmetics, battery, fabric, juice, biscuits to Nepal and Bhutan through Darjeeling's Siliguri sub-division and Nepal exports pulses, animal feed, herbs, and vegetables to Bangladesh through the same route, reports the Dhaka Tribune. Indian exporters also use this route to export boulders and construction materials to Bangladesh. Trade between Bangladesh and Bhutan got deeply affected after truck drivers refused to pass through the turbulent areas of the region due to the ongoing protests. According to reports, the Darjeeling tea industry has suffered a loss of Rs100 crore as several tea gardens in the district have become non-operational due to the protests.